Pope Francis’ last-minute no-show at a concert where he was to have been the guest of honor has sent another clear signal that he is going to do things his way and does not like the Vatican high life. The gala classical concert on Saturday was scheduled before his election in March. But the white papal armchair set up in the presumption that Pope Francis would be there remained empty. Minutes before the concert was due to start, an archbishop told the crowd of cardinals and Italian dignitaries that an “urgent commitment that cannot be postponed” would prevent Pope Francis from attending. “It took us by surprise,” said one Vatican source on Monday. “In Argentina, they probably knew not to arrange social events like concerts for him because he probably wouldn’t go,” said the source, who spoke anonymously because he is not authorized to discuss the issue. 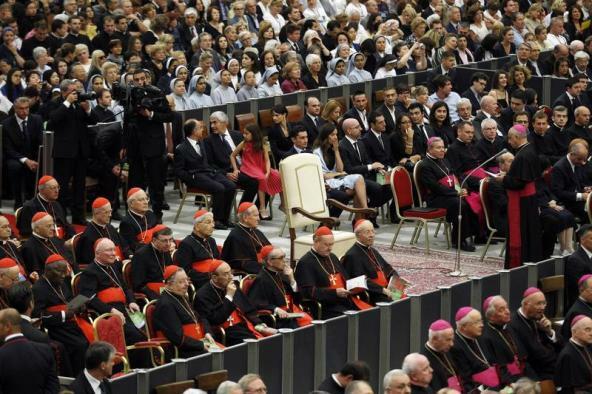 The picture of the empty chair was used in many Italian papers, with Monday’s Corriere della Sera newspaper calling his decision “a show of force” to illustrate the simple style Pope Francis wants Church officials to embrace.